Get your customers cheering with these tips on pumping up your packaging. When your product travels halfway around the world to land on someone’s doorstep, it’s the packaging that makes the first impression. And it’s a crucial one, standing in for many of the little touches that make up excellent customer service at a brick-and-mortar shop, like shaking your customer’s hand or giving personalized recommendations. If you’re an e-tailer mailing your products to your customers, your packaging has to do some pretty heavy lifting. It has to tell your story and connect with your customer, all with just some cardboard, tape and tissue paper. As the saying goes with first impressions, so too must your parcel make a good one. These days companies both big and small are transforming the humble box into a powerful business tool. While some of the personalization can be pricey, there are many simple ways to get started shipping parcels with personality. Don’t be shy about putting your brand right on the box. 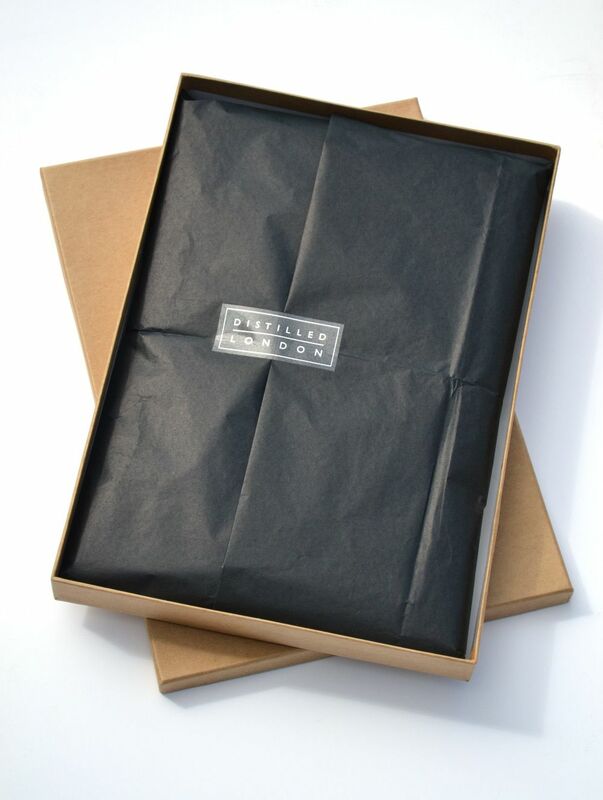 Branding the outside of your packaging lets your customer know that their hotly anticipated items have arrived. Bonus points if a cute cat crawls into one of your empty boxes and ends up a #catinabox on social media like with UrthBox. But it’s not just about you. Up the excitement for your customers by reminding them WHY they placed that order in the first place. Tell your customer something that they can a good hit off, too. Like, 'You deserve this', or, as getadatebox.com boldly announces, 'It’s time for your date'. In the case of the cruelty free beauty subscription company Petit Vour, their striking box has the brand on the outside and a slogan on the inside. That secondary message taps into the emotional 'why' behind the purchase, driving home its value. Even if you don’t go the custom printed box route, something as simple as branded or fancy packing tape can turn a bland box into an opportunity to delight and spread your message. The online retail giant Amazon has been pushing its Prime membership on its packing tape for some time now. Of course, you don’t have to have Amazon’s office supplies budget to get some special tape. The tape Hey Ma Goods Co. uses sets the tone for their brand and is custom made for them by Sticker Mule (which, appropriately enough, also makes custom stickers). Special off-the-shelf tape like Scotch Expressions can also bolster your branding without being customized. This one shouts 'YAY! ', just the sentiment you’re hoping to inspire. The creativity doesn’t have to stay outside the box, either. Inside there’s plenty of real estate for slogans and messages like with Petit Vour above, or for on-brand stickers and tissue paper. This sleek black option tells a completely different story than this gold-flecked tissue paper. Both are held together (literally and figuratively!) with on-brand stickers. There are also a ton of options for little things to slip in along with your product for maximum impact. This could include any collateral you have, a personalized thank-you note or bonus gift. We cover those extras here. If you really want to up the ante and increase the value of your product and packaging, how about building in ways for your box to be reused? Loot Crate, a swag subscription box for pop culture fans, regularly redesigns its packaging so the box can be turned into a board game or morph into Thor’s hammer! This box for a children’s jewelry line turns into a backdrop and blocks for playtime. The formula is simple: create packaging that your customers will be excited by and want to hang onto, and you’ve found a way to stay on their mind and in their hearts. If you can make your customers say, 'Wow!' about the packaging, imagine how much they’re going to love the contents. Your efforts create buzz when customers snap a photo and put it on Instagram. If your packaging is winding up on social media, make sure people know good hashtags to get the word out! This isn’t purely self-motivated by the seller. Many people genuinely want to share their experiences with a brand. Or they’re hoping to cash in on a little of your brand’s popularity to get some exposure for their social media efforts. On the other side of things, many people are searching tags to familiarize themselves with a product and see how others are using it before they make a purchase. If the result of their search is a series of photos of attractive packaging and an excellent product, then you’ve just won the social media game. E-tailers need to grab onto some of these ideas if they want to bring their customer relations to the next level, build up hype online and increase brand awareness. So don’t knock the lowly box – after all, it’s hip to be square! From British cheese to Albanian shoes, here are seven unlikely trading routes.